Welp, it's happening guys. Summer will soon come to an end and Fall will be here. Not that Central NY got the memo. It's been pretty Fall-like here all week. I was initially going to do a 6 month follow up for Stitch Fix to show you all of the items I've kept since starting with them back in February, but then had more fun turning all of the Spring/Summer items I got into Fall transition pieces. I figured that would be a much better post. Don't you agree? So here we go.. Fall transition style with all of my Stitch Fix keepers. My first fix was pretty great. I did not keep everything, but I did do a full review on my first fix. Make sure to check it out to see how I styled everything then in the winter verses my keeps for Fall transition. I paired the Gilli Hilda printed aline skirt with my hubby's purple polo top and a pair of purple converse sneakers to bring together this back to school outfit. Also from this fix I kept the 41Hawthorn Aiton grommet detail blouse. I paired it with a pair of bootcut jeans and boots. Perfect for those mild days that turn into chilly nights! I kept two pieces from that fix. The two have become one of my favorite outfits. This beautiful Pixley blouse with elephants and a pair of Just Black skinny jeans in this beautiful turquoise color. This outfit just works for all seasons in my opinion. The rich color of the jeans takes this into Fall. You can add a pair of riding boots and a scarf to really get that Fall feeling! For my April fix I specifically asked for pieces as I was going to a wedding in May and needed some options. It was a casual wedding in the PA mountains. In May you can either get 100 degrees or 50 degrees depending on the day. I asked for Maxi dresses, a cardigan, and a spring jacket. This is the fix where I was so impressed with my stylist that I requested to keep her moving forward. This Wisp Pamala maxi dress was gorgeous. I ended up wearing this to the wedding as it is a bit dressier, but can also be dressed down. It is the perfect Fall dress, with its bright oranges and navy blues. This dress would be perfect with a denim jacket and a pair of boots. May's box was a miss for me, but I did ask for a romper and this RD Style Bryanna romper showed up. I did not blog about this box as it was underwhelmed and a lot of the pieces did not fit properly. I paired the romper with a scarlet red cardigan and black wedge booties. Such a cute back to school outfit. I think this is one of my favorite outfits for the Fall! I have to admit, this last outfit isn't as Fall, but it does have some rich oranges and yellows and it does make me think of Fall. I have been rocking this Pixley Palacio scoop neck tank and Kut From The Kloth Roxanne drawstring linen shorts. Just for fun I added some red Keen sandals that have some similar colors in the accents. I can see myself wearing this right into September while the weather figures itself out. I absolutely loved my July fix. It had so many Fall colors and I was not able to keep everything I wanted. I did however blog about the fix with photos of all the items for your viewing pleasure. I kept the lovely Octavia Brooklyn crossbody bag that easily transition into fall. The beautiful teal color is amazing and screams Fall to me! This bag will sure get a lot of action. So overall I have had a pretty amazing experience with my first 6 months of Stitch Fix. I have already received my August fix and can't wait to share with you this 5/5 fix! That's right, I'm keeping it all baby! Stay tuned for photos next week! 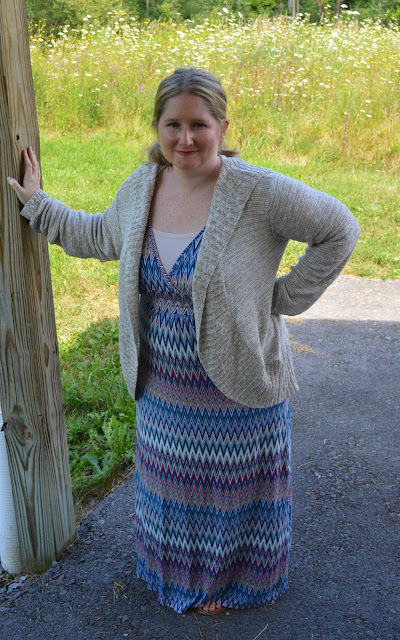 So what do you think of these Fall transition outfits using my fix keeps? I sure had fun photographing them so I hope you loved them as much I do! The Boss Babe Next Door Link Up: Vol 1. Love, Life, and Link Ups!